This spring I’m obsessed with pink color! In today's post I want to share with you my favorite pink skirts and best ways how to wear them in your everyday life. If you want to refresh your wardrobe, then pink color is a perfect choice what will immediately make you look fresh, sweet and ladylike. 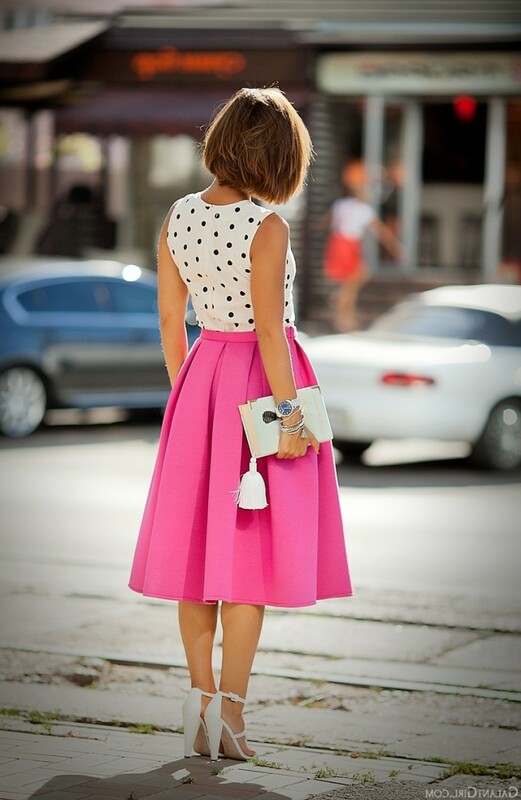 Go for a white sleeveless top in black polka dots and style it with a midi pleated pink skirt. Complete the look by adding block heel white sandals and white clutch. This color brings summer into your closet and you better know how to style it right. I have chosen best street style images where models, bloggers and fashion editors appear in pink skirts with various lengths and styles. The great thing about pink skirts is the versatility, which allows you to wear them with absolutely anything you want, starting from basic white T-shirts to embellished and festive tops creating a perfect balance to any outfit. There are known many elegant and sporty looks what are ideal to try in your everyday life. You can keep the rest of your outfit neutral, or make it bright and modern for your night outs around town. 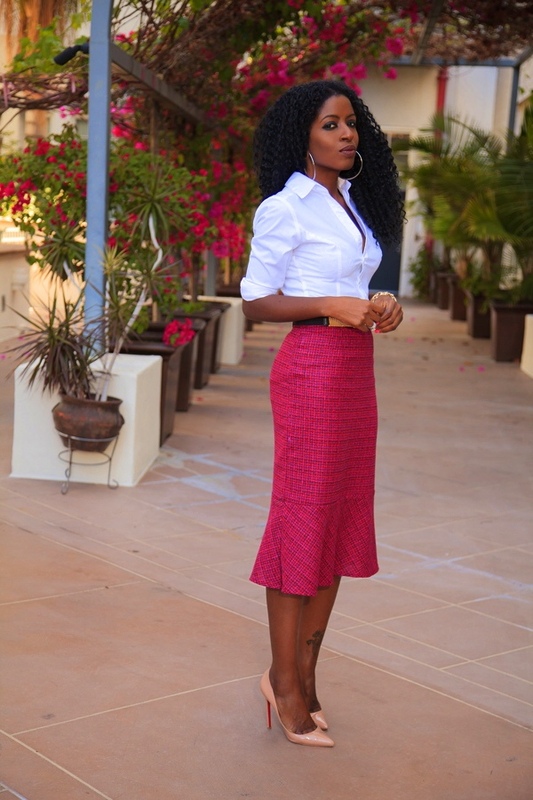 I love to see pink skirts paired with tailored tops, so that silhouette is sleek and feminine. Believe me, once you try on pink color skirt you will immediately feel yourself differently. I don't know if it's because of color, but the feeling is really wonderful. My verdict is following: pink and its shades have taken over summer season. Yes, pink is officially chic. Anyway, I am here to show my favorite styles to wear in the streets this year, hope you like it the same as me.